Fresh Clean Carpets can be yours! Breathe Better Air! Give us a Call Today! Professional Furnace, Air Duct Cleaning and Carpet Cleaning Services. Airdrie, Calgary & Chestermere, Alberta. Hundreds of 5 Star Reviews for Steam Cleaning Carpets, plus Furnace & Air Duct Cleaning. Hence, we are fast becoming The Number One Go To Company. Serving Airdrie, Calgary and Surrounding Areas. Professional Carpet Cleaning Services. 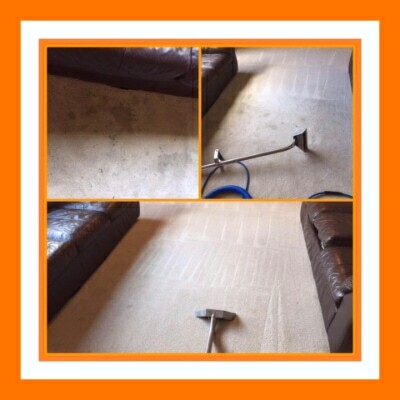 Bring those dingy, soiled Carpets and Area Rugs back to life with a Superior Steam Clean. Eco-Friendly, Green Products. Safe for Children and Pets. 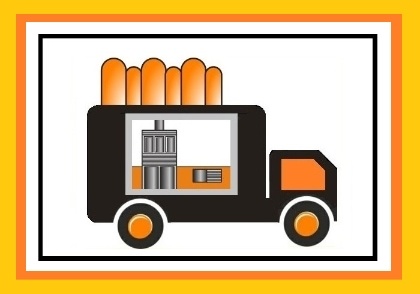 Powerful Truckmount Equipment for Furnace Cleaning, Air Duct Cleaning, Dryer Vent Cleaning, Furnace Chimneys & more. For Improvement of Indoor Air Quality. A Professional Steam Clean of Sofas, Love-seats, Chairs, Sectionals, Mattresses & Other Upholstery Cleaning. Dealing with Stains and spillages. Fabric Protector Treatments also available! Renew that tired dirty upholstery! Windows Cleaned Inside and Out and Pressure Washing too. Check out THIS VIDEO for a sample of the services we offer. It’ll give you a little taste of what we do. From the first call to Dang Good I was impressed. The person that answered the phone was able to answer all my questions and get... read more me booked in that same week! Just had my carpets done this morning and couldn't be more pleased! Not only was the young man who entered my home kind and... read more well mannered, he was efficient and professional. My carpets which were heavily stained now look and smell like new! I am so pleased to have stumbled across your company while I was google searching. I will definitely recommend your company and would have you come into my home again! I had actually booked a different company for my Saturday carpet clean. They then cancelled due to weather the morning of the job. I found... read more Dang Good online and called at 8am on Saturday morning, Mark booked me in and quoted me a fair price and was here within hours. My home was being listed and I needed it done urgently so he came out himself to ensure I got the service right away in minus 25 and laughed about the other company canceling because it was “too cold to work”. We are very proud of our 5 Star Ratings. We strive to continually be one of the very best Carpet Cleaners & Furnace and Duct Cleaning Companies in Calgary, Airdrie Alberta, Chestermere and beyond. Accreditation, Certifications, Memberships, Awards & Nominations. We are accredited with the Better Business Bureau. We have an A+ Rating, which is the highest you can get. You can find out more about our BBB Accreditation in the Dang Good News section of our blog. This is a recognized body in the Carpet Cleaning Industry. The IICRC is dedicated to recognizing and establishing a set of standards and certifications in Carpet Cleaning Best Practices. You can find Dang Good under the Canadian list of Certified Professionals. Firstly, being a member of the Airdrie Chamber of Commerce is just one way in which we at Dang Good stay connected and involved in that City. Whilst our head office is not based in Airdrie, it is very close, being in the Community of Panorama Hills. Consequently we do a lot of business there and of course, are licensed to operate there too. Secondly, the Calgary Chamber of Commerce is a natural fit for us because we are both residents and business owners of the City. Two major reasons for joining were to gain peer support and advice and for networking. Thirdly, Chestermere is close to our business depot where we home our truck-mounts and so it became a natural progression for us to service that City too. In addition we are part of the Chestermere Business Directory. 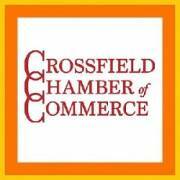 Fourthly, we tag the Town of Crossfield onto our days when we are servicing Airdrie. Subsequently, we do not charge our customers in Crossfield a travel fee. Lastly, but by no means least, we are being recognized with nominations and awards in the Industry. ...we have now won the 2019 Best Of Award. For more information please see our Blog Post. We are proud winners of the 10th Reader's Choice Award. We Won Bronze For: Best Carpet cleaning Company and Best Furnace and Duct cleaning Company. Nominated for the 2019 Top Choice Award for Carpet cleaning. Proud to compete against two other companies who have been in business far longer than us. Unfortunately we did not win but congratulations to Alberta Carpet Cleaning who did. If you would like to nominate us for 2020 please see our blog post. Not a mean feat for only having been in operation since 2016. As a consequence of the above, we are building a solid reputation locally as a Professional Carpet and Furnace Cleaning Company who can be completely trusted to service your Home. Providing Superior, Professional Carpet Cleaning as well as Sanitization and Restoration of Carpets, Area Rugs, and Upholstery. Similarly, we provide Highly Recommended Furnace and Air Duct Cleaning too. All at an Inexpensive Price! Well Trained, Experienced, Certified Technicians use High Pressured Truckmount Systems. Natural, Green, Healthy, Environmentally Friendly Cleaning Products are used to help remove Stubborn Stains, Grime, Dust, Dirt, Pet Soiling and Odours from the Home. Dang Good’s Crew Members provide a Great Customer Service and they pride themselves on their Expertise, Knowledge, Quality, and Attention to Detail. Don’t be fooled by our Deal Prices. They may give the impression we are cheap but that connotation is incorrect. We provide a high quality clean every time. We have some great deals if you are looking for a Basic Steam Clean of your carpets or a regular cleaning of your furnace and ducts. If your carpets or furnace system are just a little bit soiled then you would be a suitable candidate for our deal pricing. Please see our Deals Page for more information. If your carpets are heavily soiled, have lots of stains or pet issues then you would need to pay more as you would likely need a Heavy Pre-Treat. Likewise, if your furnace and ducts have not been cleaned in quite some time then your system is probably going to be heavily contaminated and an extra charge per vent may apply. We constantly aim for a quality clean at a competitive rate. Furthermore, we give our customers value for money and results that will make them regular, repeat customers. We love having Loyal Customers who as a consequence of their experience with Dang Good, consistently refer us to their friends and family. You get a Dang Good Clean at a Dang Good Price! Local family owned & operated business. Friendly, well trained, certified technicians. Natural, Green, Healthy & Environmentally friendly cleaning products. Powerful cleaning tools for the best results. Over 5000 happy customers served, and growing! The perfect balance between Cleaning & Cost. Cleaning your home to the highest standard. We provide Premium Carpet Cleaning, as well as Sanitization and Restoration of Carpets, Area Rugs & Upholstery. Furthermore, our Furnace and Duct Cleaning is Top-Rate. And yet, probably most importantly, it all comes at a very Affordable Price! 161, Panamount Drive NW, Calgary, AB. T3K 5L7 – By appointment only.